I’m not going to pretend to be an expert on Kansas City barbecue. Writing about such sacred fare is a little uncomfortable just for the fact that smoke and sauce are very individualized tastes. What appeals to one person might turn off another. But I do know good food, and from that angle I can tell you my opinion of any meal. And Fiorella’s Jack Stack Barbecue is what I consider one of the big boys in BBQ here in KC. Not only does Jack Stack serve up consistently good food, which is the main reason people keep going back, but it provides for more of an upscale dining experience than you find in most barbecue joints. Now some may say the order-at-the-counter, squeeze bottles of sauce on the table is the real way to do barbecue. But there’s obviously a market, particularly in KC, for enjoying great smoked meats and sauces in a refined setting. I met up with my girlfriend Sarah for a late Sunday night dinner at the Jack Stack on 95th & Metcalf. I normally visit their location in the Freight House District, but found the food to have few, if any, differences. For some reason beer and barbecue just seem to go hand in hand, and I was thrilled to see Boulevard’s Tank 7 on tap. I ordered a glass and we got down to the business of appetizer selection. Being the “last supper” of a week of outlandish eating (and knowing the diet started again the next morning), we went straight for the fried food. Onion rings are always a favorite of mine to try no matter where I go. 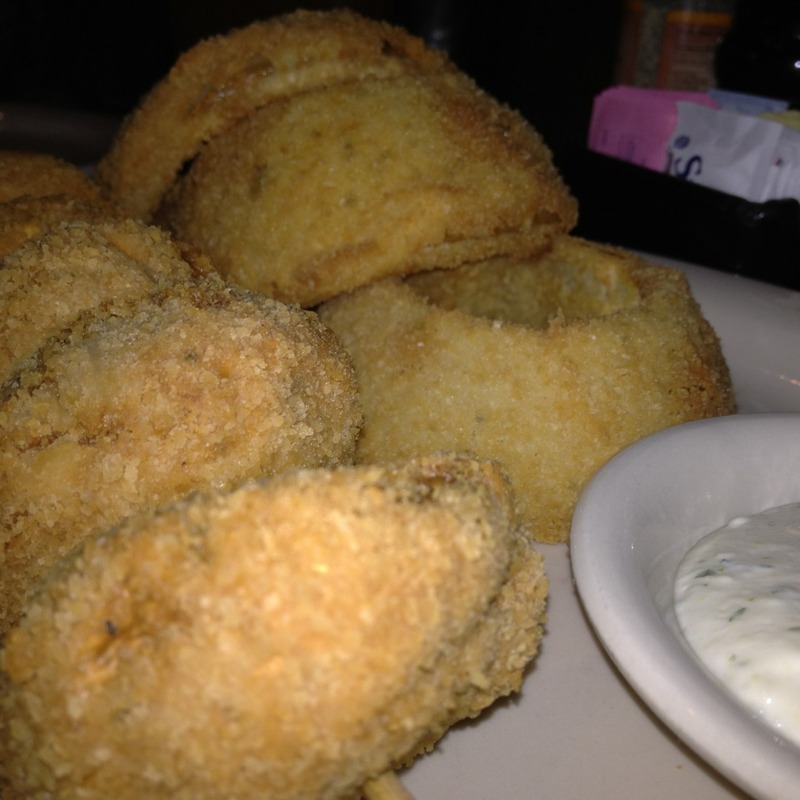 Having tasted the ones at Jack Stack before, I knew those would be a great way to begin. We also ordered the fried mushrooms and the smoked salmon appetizer. As usual, the extra-thick cut rings came out golden brown. The warm, crispy batter was just salty enough and the onion still firm and crunchy. Plated alongside the mushrooms, both looked delicious but the mushrooms did not compare. Oversized and somewhat undercooked, the monstrous apps were too firm and the thin batter didn’t provide enough flavor in proportion to the large mushroom. 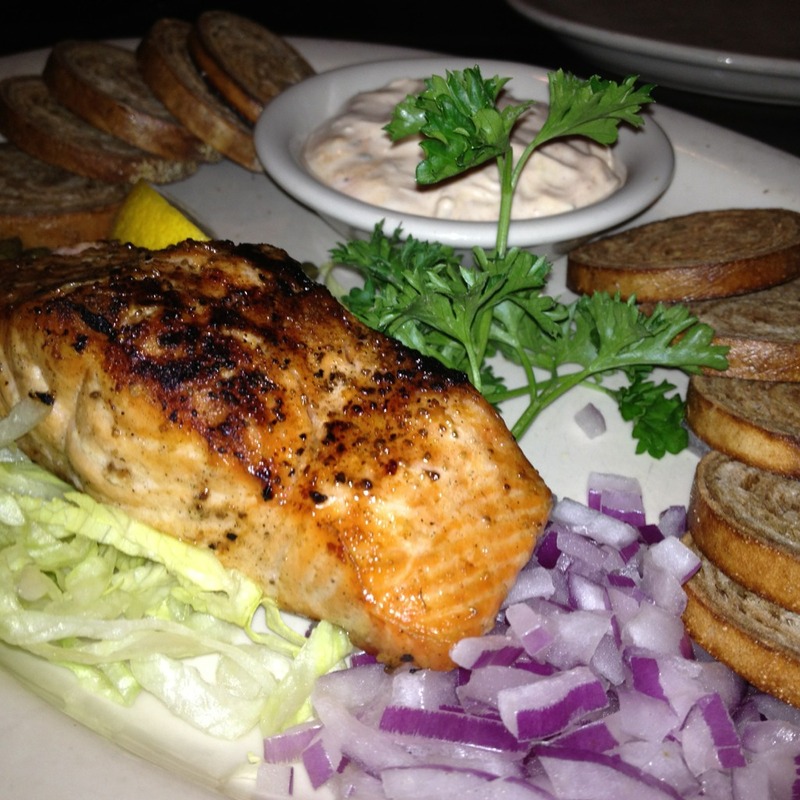 The salmon, fresh from the grill, was a nice meaty portion with great flavor. It was served with rye toasts, capers, onions and remoulade. The sauce was pretty average and almost took away from the quality of the salmon. The best accompaniment was the rye toast – small and crisp but a touch chewy. I enjoyed several bites of salmon on the toast with capers and a few onions. 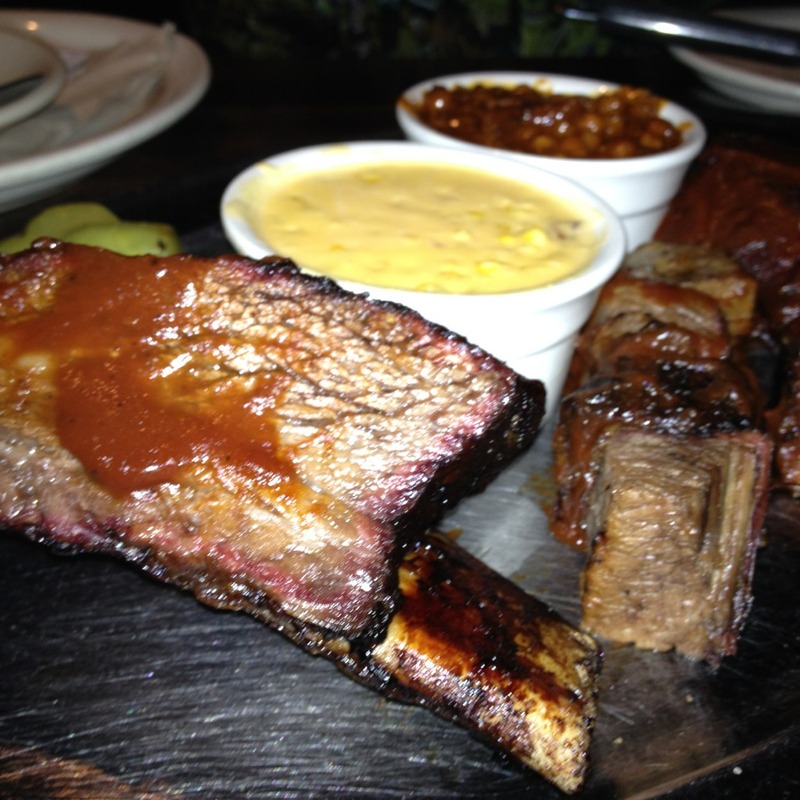 For dinner we shared the Jack’s Best combo of baby back ribs, burnt ends and a crown prime beef rib. The meats were all very good. The crown rib was by far the highlight of the meal. An amazing cut with superb marbling and incredible flavor, it literally melts in your mouth. 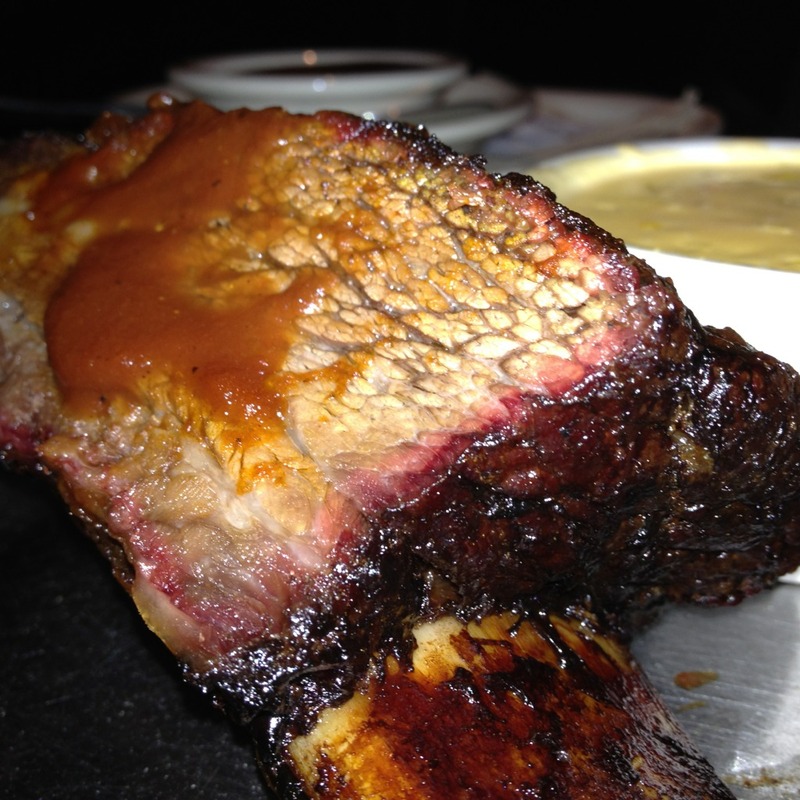 The huge rib boasts a large chunk of beef and all the flavor your heart desires. It was perfection! Crown Prime Beef Rib - fantastic! Jack Stack’s burnt ends are some of the best I’ve had in KC. There was a good proportion of meat to fat and a wonderful smoked flavor. The baby backs were more moist than most, they had a nice crisp edge and just enough sauce. The sides can nearly steal the show at Jack Stack. We indulged on the cheesy corn, hickory pit beans and cheesy potato bake. Cheesy corn is one of my favorite orders at Jack Stack and I get it nearly every time. Their beans are good, not too sweet. 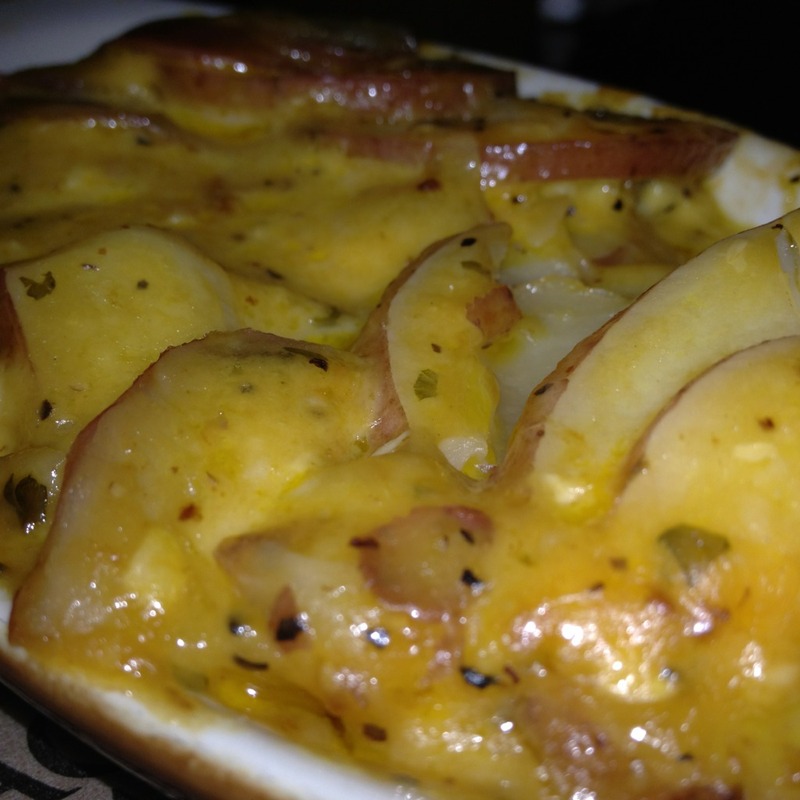 But I was loving the cheesy potato bake. It was fantastic, with sliced red potatoes covered in melted cheese and spices. Oh so good! The only negative to our dinner was the service. We started the night with a friendly and helpful waitress that got us through the appetizer course and seemed to disappear. We intended to take our time and had told her when the apps arrived we weren’t quite ready to order yet. But then it was more than 20 minutes with no server in sight. When I flagged someone down and asked them to send our waitress, a new girl showed up saying she would be taking care of us as the original waitress was going home. This was around 8pm so I was a little surprised we were passed off that early. The service didn’t get much better from that point. My friend and I got the feeling she didn’t have much interest in providing us good service after we declined her up-sell on a bottle of wine, choosing a glass instead. Despite the service disappointment, Jack Stack is one of your best options for a nice barbecue restaurant. And don’t overlook the non-barbecue options. The Flattened Chicken is fantastic and that salmon always hits the spot.